Great News! 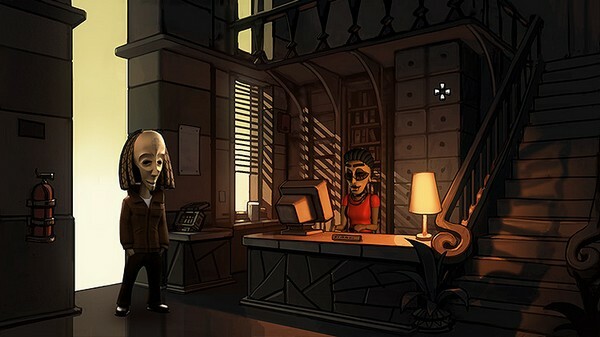 We’ve just received word yesterday from the folks over at SkyGoblin that they will be launching chapter two of their excellent point-and-click adventure game series, The Journey Down next Monday, August 25th. I’ve mentioned this game numerous times on the site as I quite enjoyed the experience of the first chapter, with its interesting puzzles, interesting story and outstanding voice-work and animation. So needless to say, I have been looking forward to this second outing with Bwana and his trusted sidekick Kito. SkyGoblin has taken the critique they got from the first game (though I had very little) and “battled it, head on…to make the sequel a better game in every way possible”. This should be a real treat for adventure game fans next week.